Our monthly ceilidh at St Mary’s Heritage Centre, Gateshead. 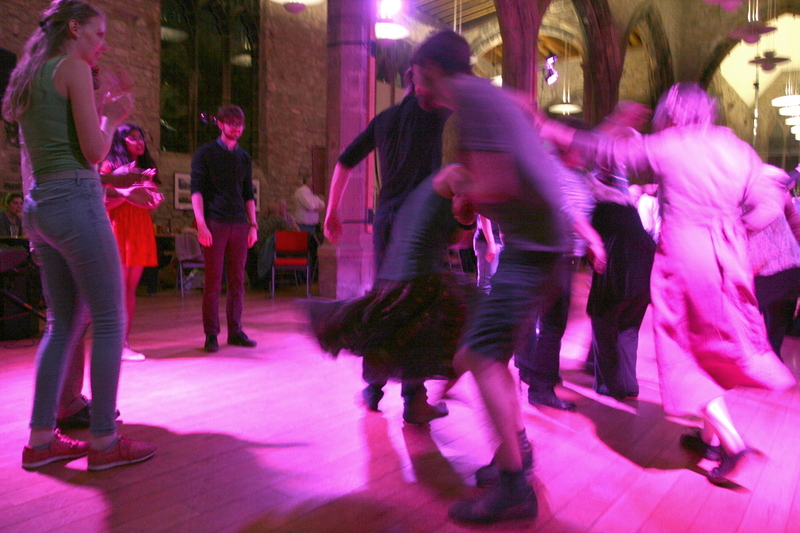 The ceilidh, which is open to the public, is run by Gateshead and North East Ceilidh Club. It starts at 8pm and closes at 10:30pm prompt with a short interval. Enjoy easy dancing with a group of friendly and enthusiastic people. Each dance is ‘called’ and walked through first, so previous dancing experience is not necessary. There is a small cover charge for the nights dancing. Refreshments are available. This venue is easily accessible by road, metro and bus. The best place to park is beside Gateshead Old Town Hall, just a few minutes walk away. We play for a ceilidh on the first Tuesday in the month, in St Mary’s Church Heritage Centre, next to the Sage, at Oakwellgate, Gateshead NE8 2AU. We also play for private functions.